The Captren flows off the snow-covered, north western flank of Volcan Llaima (3125 meters) and has it’s headwaters within The Parque Nacional Conguillio at Laguna Captren. The river, however, is not runnable in its upper reaches but instead provides the right combination of gradient and flow for it’s final 3 km descent to the confluence with Rio Cautín. Upon reaching the Cautín it is another 3 km of big water boating until the first takeout opportunity at the old Puente Cautín. To reach the put in from Temuco take ruta 5 north to Lautaro then to Curacautín. At the eastern edge of the town follow signs to RUTA INTERLAGOS or Parque Nacional Congillio. Follow the road until you reach Puente Blanco Del Sur. Immediately after the bridge turn right on a gravel road and follow it 400 meters until you reach the wooden bridge over Captren. Put in here by seal launching off the bank. To reach the takeout continue approximately 5-6 km downstream and find a gravel road to the right that leads to the old bridge over the Cautín River. On the 6 km run the first 2 km has swift moving clear water passing through a densely forested mini canyon. Some class 3 rapids quickly turn to the class 5+ Captren falls. At 7 meters in height these falls need just the right flow to safely make it to the lip with multiple holes, fallen trees and volcanic razor rocks guarding the approach. 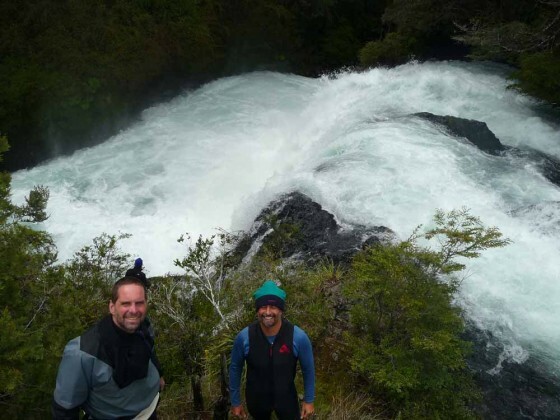 After either running or portaging (a bit difficult but possible) the falls the river enters a 30 meter deep canyon and within a few meters enters the big water of the Cautín. 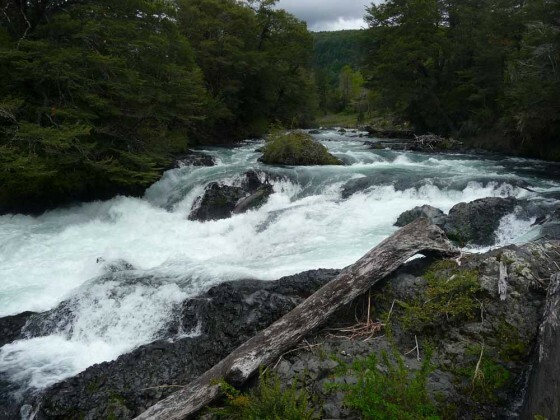 Other nearby rivers: Quepe, Truful Truful, Alpehue, Queupude, Calbuco, Blanco del Sur, Cautín.